Enjoy the top 1 famous quotes, sayings and quotations by JP Morelands. “A Christian goes to college to discover his vocation - and to develop skills necessary to occupy a section of cultural, intellectual domain in a manner worthy of the kingdom of God. Want to see more pictures of JP Morelands quotes? 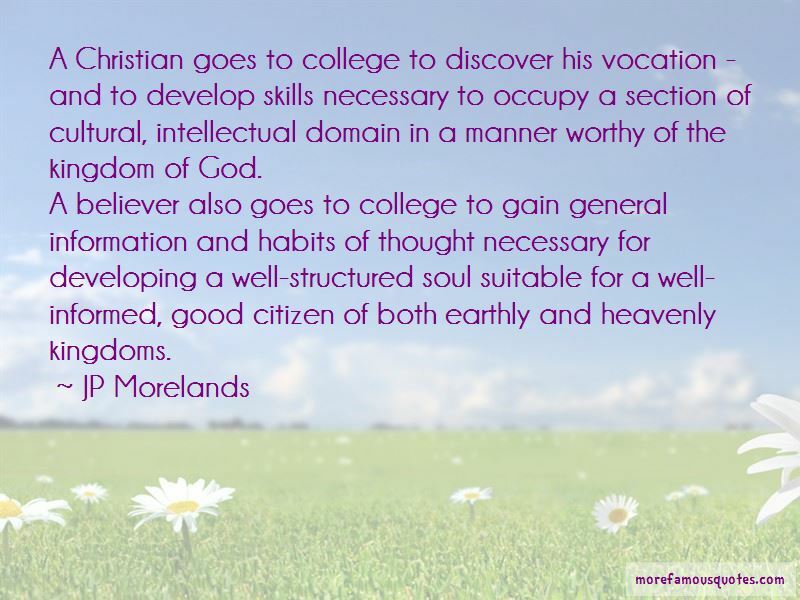 Click on image of JP Morelands quotes to view full size.